Are you interested in learning about the different types of jobs that require travel? If you like the idea of having an opportunity to see the world while building your career, you'll be pleased to learn that travel is an integral part of many occupations. There are many jobs that require travel beyond pre-assigned regions. Some sales positions, for example, are based on client type rather than geographic area. Instead of being assigned to a state, you may find yourself assigned to call on all hospital clients or all chemical plant customers. These types of jobs can require nationwide travel, and even international travel in some cases. Jobs that involve flying airplanes, serving as flight attendants, driving trucks, working on ships and operating trains require significant travel on a daily basis. 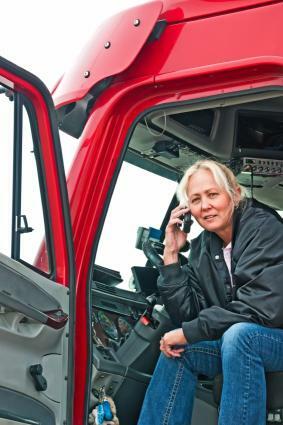 To be successful in a transportation career, individuals must be comfortable being away from home for long periods of time and be willing to comply with stringent safety and industry regulations. Licensure requirements vary greatly for different types of transportation jobs. 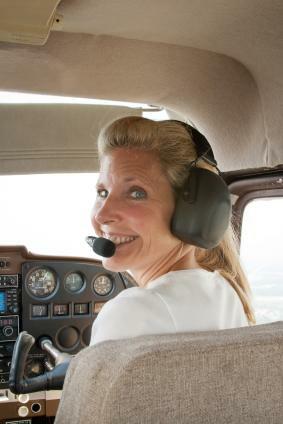 Airplane pilots must have a pilot's license, boat captains must have a captain's license and truck drivers must have a CDL license. 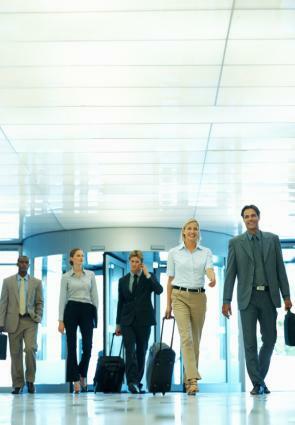 Most airlines require flight attendants to have undergraduate degrees and complete company-provided training. Railroad workers and maritime workers other than captains are typically required to complete on-the-job training. Individuals who recruit and/or scout for college and professional athletic teams travel extensively while scouting players, attending workshops and training camps, and meeting personally with prospects. This type of job is good for individuals who have experience playing college and/or professional sports experience and for former high school (or higher level) coaches. A combination of formal education in a sports-related field and playing or coaching experience is typically required for these types of jobs. The National Association of College Directors of Athletics (NACDA) athletic employment opportunities page is a good resource for finding ads for these types of jobs, as are WorkInSports.com and TeamworkOnline. Professional consultants typically have expertise in a particular area. Companies that need specialized assistance consultants bring them on-site to provide various types of services. For example, plants going through a lean manufacturing consultant often bring in one of the top experts in the field to ease the transition. There are not a lot of people with this particular expertise, so the best consultants often travel extensively to meet the needs of their clients. This type of work is good for individuals with significant professional experience who want to apply their expertise to help multiple companies and who are willing to work away from home for significant periods of time. Academic credentials and/or advanced credentials specific to the consulting field are typically required. Many consultants are self-employed, so this type of work may be a good choice for experienced professionals with entrepreneurial aspirations. There are also consulting firms that hire or contract with consultants to provide services to their clients. A few that you may want to consider applying with include Accenture and Deloitte. Companies that market specialized software usually deploy teams of installation and training professionals to client locations when a new system or upgrade is installed. Individuals who hold these types of positions typically spend four or more nights away from home each week. This type of work is good for individuals with strong computer, communication and training skills who are fine with spending most of their time away from home. Some employers who hire software installers and/or on-site trainers require degrees in information technology, education, or the specific field the software is designed for (such as healthcare administration or accounting). ITWorld.com is a good resource for finding these types of jobs, as well as websites of software providers that market products nationwide. Companies you may want to check include New Tech Computer Systems in Shreveport, LA and The SSI Group, Inc. in Mobile, AL. Some jobs that require travel are concentrated within a specific geographic region. Many sales and management positions are structured so individual employees are assigned a certain territory. If you accept this type of job, you will be expected to work with locations within your assigned region. If you accept a territory-based sales position, you can expect to spend a portion of your time traveling to the offices of current and potential customers. Pharmaceutical companies, for example, frequently hire sales representatives to work from home offices, covering clients encompassing several cities or states in the surrounding area. Individuals who hold these types of jobs typically travel by a company-provided automobile and spend several nights away from home each month. This type of sales force allows companies to provide more frequent and consistent service to their customer base than if they had to rely on sales reps assigned to larger areas. It's not unusual for companies with multiple locations to hire regional managers to oversee several sites. Retail chains, restaurants, and other types of businesses that have operations across multiple states commonly utilize this type of operational structure. Regional managers are typically promoted to their positions from site-based general manager positions. Store managers report to them, and they report to the corporation's chief operating officer or other high level executive. Regional managers spend a significant amount of time on the road, traveling from one location to another for site visits. They are responsible for managing peak performance from each location they are responsible for overseeing and providing various types of assistance to the site managers and their staff members. Depending on the size of the territory, individuals who hold these types of positions often travel by automobile, airplane, train or a combination. Is a Travel Position Right for You? Before you seek employment in an occupation that requires extensive travel, it's important to give serious thought to whether or not this type of job is right for you. Some people find life on the road to be invigorating, but it's definitely not for everyone. To many people, the idea of traveling for work sounds exciting, but the reality is often more exhausting and less exciting and glamorous than they expected. Make sure you are prepared for the rigors of frequent travel before pursuing one of these types of jobs.